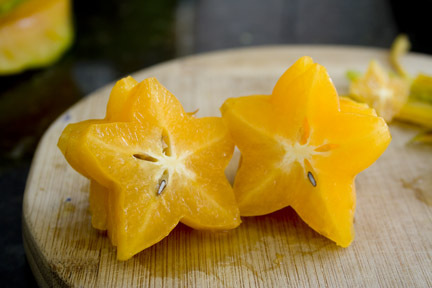 Seeing a star fruit (or starfruit) in the grocery store can be a little intimidating or seem ‘too exotic’ if you’ve never sliced and eaten one your self, but don’t be scared, it’s delicious and easy. The best looking star fruit may not be the most ripe and delicious, so choosing the right one is important. 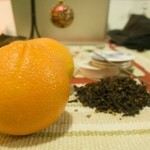 Your best bet is to find the fruit with the least amount of green on the edges and the richest orange color. This could mean there are some brown edges, but if they are small, that indicates it’s at its optimum ripeness. 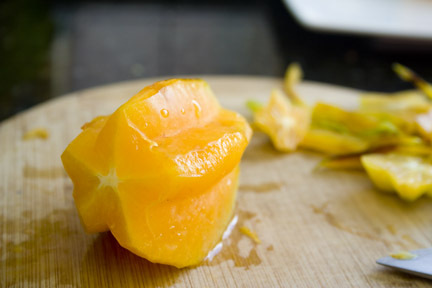 I have tried buying green star fruit and letting them ripen to a bright orange color, but they are always much more bitter than finding the fruit at the stand that has spent more time ripening on the tree. It really is hit or miss, so if you find a good source for them, stick with it. In Costa Rica there is a farmers market in the Pavas area of San José that has a lot of stands with star fruit, which they call carambola, but we have our favorite of course. 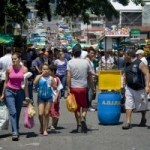 You can find the market extending down about 500 meters along the street running beside the Palí in Pavas every Saturday morning. A great way to use star fruit that I’ve noticed here in Costa Rica is to juice them and combine with sugar and cinnamon for a sweet little cocktail. If you then take the juice and blend it with ice, it’s even better for the summer. 2. 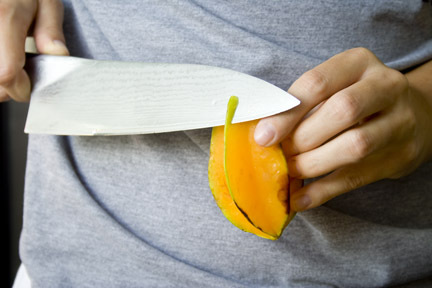 Using a sharp butcher knife, slide the blade down the green edges of the star fruit being careful only to remove the non-orange edge. 3. Once the edges are removed, slice off the two ends. Only remove about 1/2 inch, not too much. At this point your fruit should have no more green or brown areas. 5. You’ll notice that your slices have seeds in them, mostly in the middle pieces. These should be removed with the tip of the knife. 6. 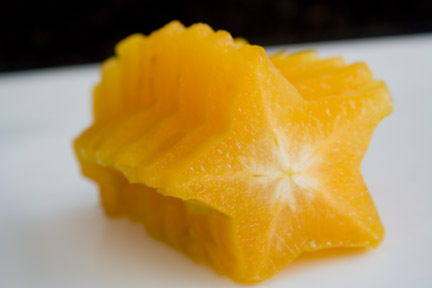 Star fruit is a very fun-shaped fruit, so get creative with how you plate it. 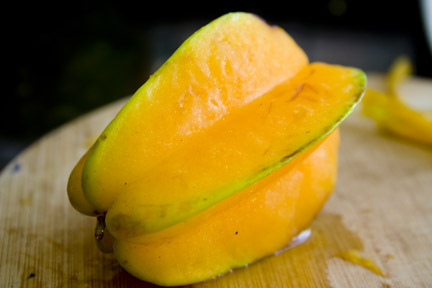 It also makes a great garnish, and in Costa Rica (in Spanish is called ‘carambola’) they are plentiful and cheap. They are a great snack with a little sprinkle of cinnamon, as a juice drink, or to use in salads. They are versatile, so find your favorite way to use them and enjoy! You can add star fruit to your diet in a variety of ways. My favorite is in a fruit salad, but it is also a great compliment to a green garden salad or a chicken dish that uses coconut. Anything dish that combines sweet and savory is a great one to garnish with starfruit or use within the recipe. • 2 Cups of ice cubes. Combine all ingredients in a blender and blend on high until smooth. 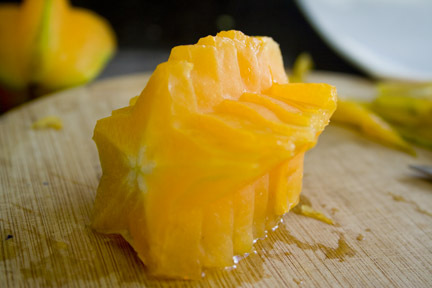 Pour into 4 large juice glasses and garnish each with a star fruit slice. Serve immediately. 1. Heat oven to 400° F. Spread the almonds on a rimmed baking sheet and toast, tossing occasionally, until golden, 5 to 6 minutes. 2. In a large bowl, toss the lettuce, star fruit, parsley, cilantro, chives, and almonds with the vinaigrette. 1. Heat oven to 325° F. Lightly coat a 13-by-9-inch baking dish with vegetable cooking spray. Sprinkle the chicken breasts with the garlic, cayenne, and lime zest; set aside. 2. Place the rice in the baking dish. Combine the chicken stock, coconut milk, cilantro, salt, and starfruit juice and pour onto the rice. Arrange the chicken on top of the rice. Cover with foil and bake 25 to 30 minutes or until the rice is tender and the chicken is cooked through. 3. Remove the foil, sprinkle the coconut on top, and cook 5 minutes more or until the coconut is browned. 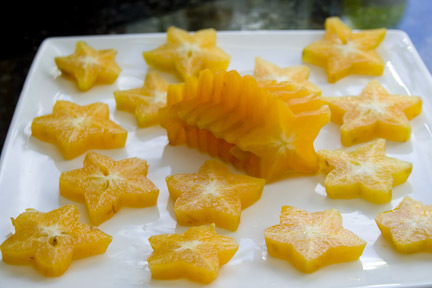 Dish out and serve with starfruit garnish. 2. 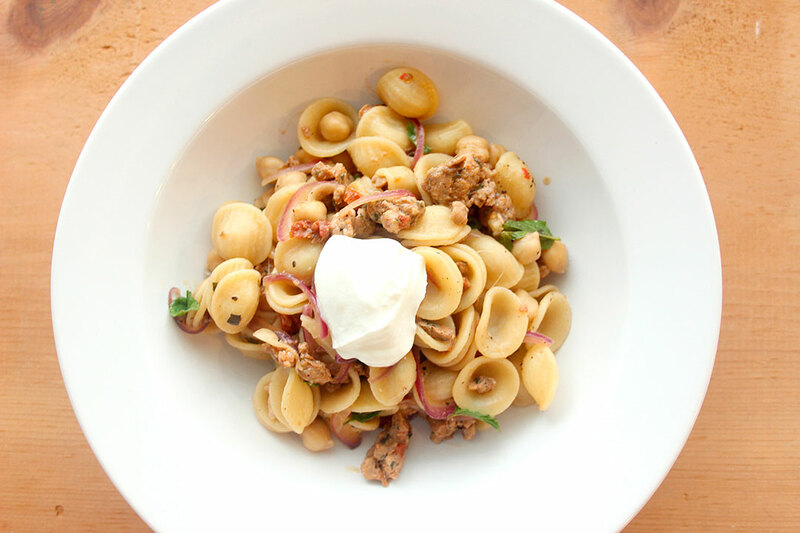 In a large bowl, toss the lettuce, parsley, cilantro, chives, and almonds with the vinaigrette. This recipe does not mention starfruit at all. What happened?? thanks for pointing that out, Denise. How embarrassing! I have updated the post. i have just taste Carambola fruit only last week but now my question is can this fruit also help the diabetes (sugar)person to control his/her sugar ? There is some good research out there and i’m not a doctor, so I can’t tell you one way or the other. 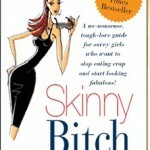 This article can fill you in on some of the medical claims to reduce blood sugar: http://www.officiallydiabetic.com/starfruit-obesity-and-diabetes/ However, this article says it is dangerous to eat StarFruit if you have kidney issues: http://www.drweil.com/drw/u/QAA400592/Is-Eating-Star-Fruit-Dangerous.html. Goodluck!